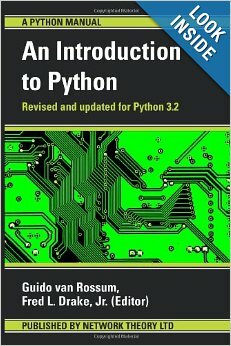 This manual provides an introduction to Python, an easy to learn object-oriented programming language. Python combines power with clear syntax. It has modules, classes, exceptions, very high level data types, and dynamic typing. Python can link directly to libraries written in C or C++ and can be embedded as an extension language for applications that need a programmable interface. Python is free software. It can be used with GNU (GNU/Linux), Unix, Microsoft Windows and many other systems.